OUR 5TH YEAR OF CAMPAIGN BEGINS TODAY!! Breaking the Silence, a campaign to banish stigma around menstruation enters its 5th year of active campaign to lead from the 'front line'.Of making a buzz, making headlines, starting important conversations, challenging social norms, rallying, protesting and securing what we deserve while we reach more and more people to sensitize! The theme for this year is YOUTH and EDUCATION where our focus will be youth and education institutions like schools, colleges, universities and special institutions like orphanages, rehabilitation centers! Awareness about the adolescent changes in the body of girls and boys and important processes such as menstruation and reproduction in our education system is delayed till students reach class 9 or 10 in India, about 15 or 16 years in age. Is that not way too late when menstruation begins as early as 9 or 10 years in some girls? What can we do in the schools, colleges and universities to bring change? What is the role of the youth to build an enabling environment within educational institutions for girls to be able to manage their periods with privacy and dignity? We will answer these questions as we go along! 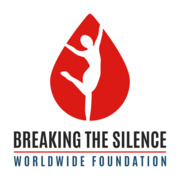 In this year, "Breaking the Silence Campaign" will bring to you stories and interviews from 100 different girls and women,boys and men from different corners of the globe in the next 365 days. Day#1 - Simran Grewal, a public health specialist from Washington DC.